Yes this was from back in August--September. I'm just now getting to it. Kind of... Alright, full disclosure, I don't love some of the things in my Algebra 1 interactive notebook this year. I feel like I could have done better and they're sub-par from time to time. But I guess that's the reality of teaching. I'm glad I'm looking at myself and my profession critically. That's a positive way to approach it, right? :) I have gone back and forth so many times about sharing these pages or not. I don't love them. They're not life-changing. Oh well. Sometimes that's the best we've got, right? I decided to go ahead and share these because I like when other teachers share their not-so-brilliant moments. It makes me feel more okay about mine, ya know? We started Unit 1 refreshing some accelerated 7th grade ideas of sampling, biased data, and representing data. 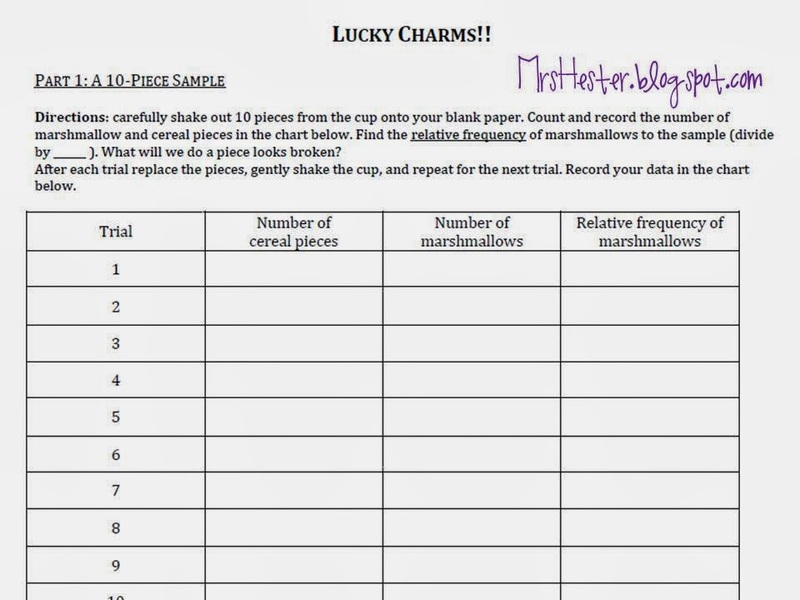 We did a Lucky Charms investigation. Yours is HERE if you want a copy. We discussed the ideas of more precision with larger samples, random vs. biased, relative frequency, precision in plotting, and estimating predictions. We then recorded all of our heights and shoe sizes, separated by boys and girls. The "Our Data" page flips open so that when you turn to other pages of the notebook the data is still visible. This came in handy when we created dot plots, box plots, and histograms on the next pages. It's also getting ready to come in handy again when we use this same data to talk about correlation, scatter plots, lines of best fit, and residuals in Unit 5. Here's our plots on the next page. 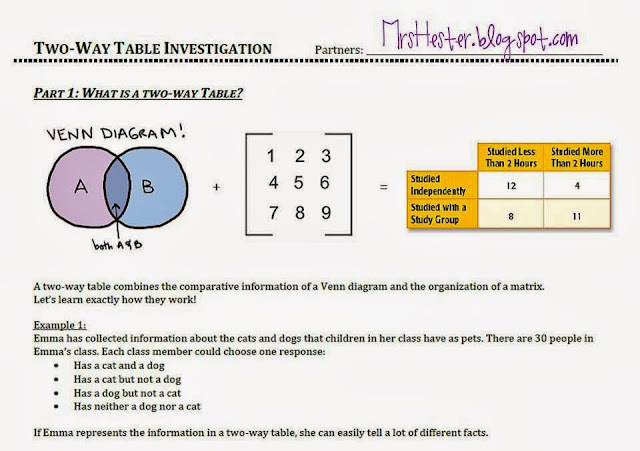 See... super handy that students could see the data and also these pages at the same time. Saved lots of time and headaches not flipping back and forth and losing our place over and over. 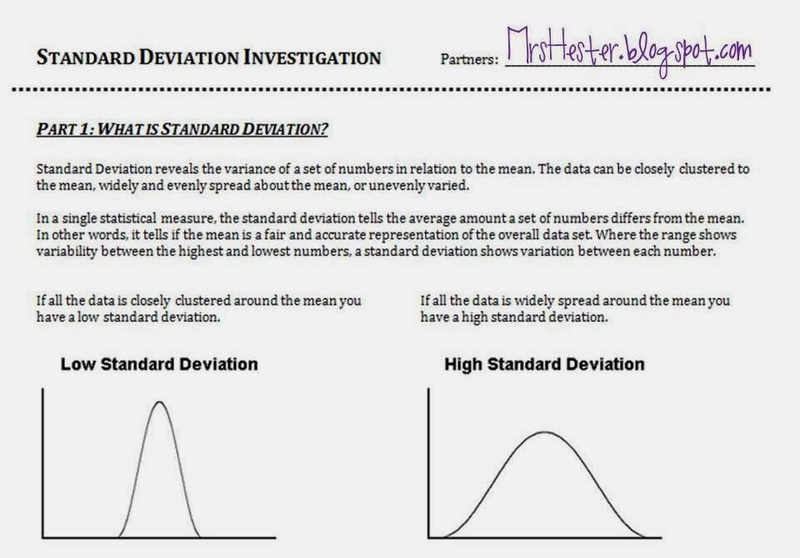 We then did a Standard Deviation Investigation. Yours is HERE if you want a copy. We summarized in our notebook and complete the practice pages that are taped in. I don't remember exactly where I got the practice page, possibly Teachers Pay Teachers. Or maybe a blog link through Twitter. I'm so sorry to whoever deserves credit for the practice activity. It's about five different cars and fuel efficiency. If it's your activity please leave a comment or email me, I'd love to give you credit! 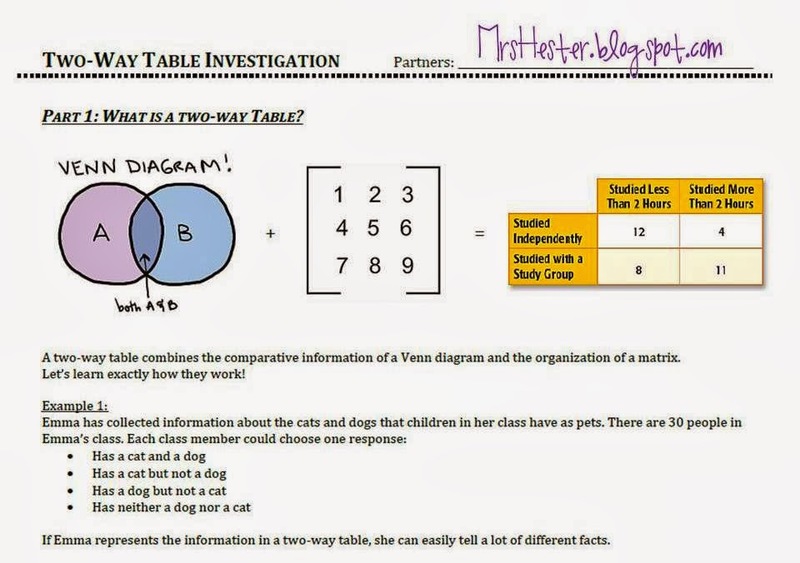 If you want either Investigation or Homework, they are linked. Lastly we wrapped up by summarizing vocabulary. I don't usually devote much page space to vocabulary since students build a glossary at the end of their notebooks, but this unit was just too vocab-rich to avoid it. Students referenced this more often than I thought and it has proven useful. Well, there you have it. My Algebra 1 Unit 1 that I don't completely love. This is definitely a unit that I'd LOVE to see how you approach these topics; I need some new ideas! i have an activity that i use for the box and whisker plots.. not sure how to upload anything, but if you send me your email, i can send it to you! i love looking at how you do things :) this is year 1 of interactive journals for me so i have a lot to learn still! What a great job. I will use some of your ideas in my classes. The combination of box and whiskers graphics, histogram and something like stem and leaf graphics is very interesting. I wish some statistical program would generate this kind of graphics! To what extent would it be good to explain to students the problem of the controversy over statistical inference that is currently under discussion? How can we explain it to them? Thank you.